I love Iloilo, no doubt about it. After my first visit in 2015, it became my instant favorite city in the Philippines next to Manila. In fact, given the opportunity to work outside the Philippine capital, I would choose to work in Iloilo. I said it before and will say it again. I love how Iloilo City balances modernization and history. It’s where you can see the fusion of industrialization and its glamorous past. Two years later, Iloilo’s economy continues to boom. I was surprised to see rising structures in the Iloilo Business Park, a 72-hectare business and leisure park, the biggest township in Western Visayas. For sure, it will become the most vibrant spot in the city. We stayed at Richmonde Hotel Iloilo, the first premier business hotel that opened in Iloilo Business Park. The moment you set foot onto their spacious lobby, you will notice the relaxing interior that gives a calming mood. Its contemporary design is accented with wooden details. Ilonggos are known for being sweet and soft spoken, so expect a passionate and caring service. I got a spacious and modern deluxe room allowing me to move freely. Richmonde hotel is also known for its signature bed with plush beddings of 300-thread count sheets that provide utmost comfort. They assure you of a comfortable sleep between soft duvets and duck-feather pillows. 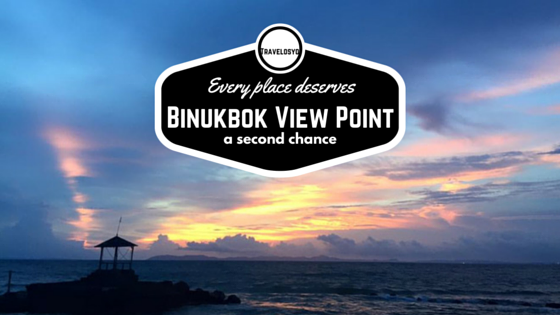 It is definitely the best choice in Iloilo. The hotel also offers an outdoor swimming pool with pool deck, bar, and a fitness center. They also have an all day dining restaurant called The Granary that offers comfort food composed of exquisite dishes. On the other side of the lobby is The Bizbar, an entertainment lounge where you can relax while having fine drinks and great food. Of course, one of the best things to do when travelling is food trip. In Iloilo, you shouldn’t miss Camina Balay nga Bato located on Osmeña St., Villa Arevalo, Iloilo City. The restaurant-museum used to be an ancestral home. The ground floor serves as the antiques and souvenir shop. You can also see some workers weaving textiles by hand. You have to climb the grand staircase called Escalera Principal to go to the second floor. It was built to be steep as a protection from thieves during the Spanish Era. The second floor houses the antique collection of the family. The kitchen and dining areas are on the second floor, too. 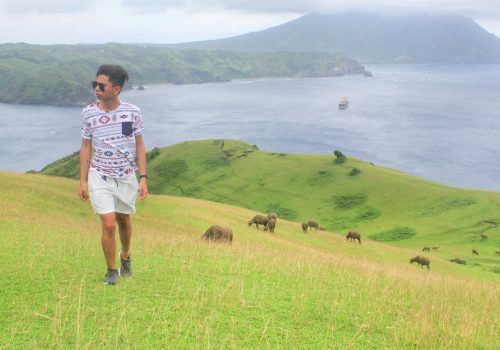 Camina Balay nga Bato is famous for its hot chocolate and pancit molo. All the food they served to us was so good. If you’re planning to visit, be sure to make a reservation through the following numbers 033-336-3858 or 336-5075 or 0917-305-5355. 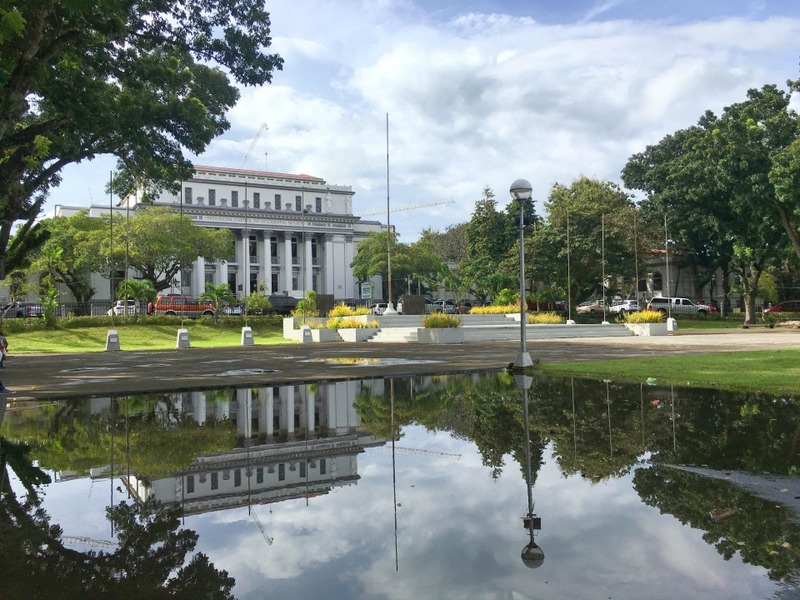 If you have limited time to tour Iloilo City, here are some recommended things to do. Known as the royal street in Iloilo, a walk along J.M. Basa Street is like wandering in a museum. You can see old buildings built during the Spanish Era. The street has served as a shopping district and entertainment center since 1930. Another thing I love to do in Iloilo is strolling along the Esplanade. It’s a 1.2 km long esplanade where people can jog, walk, or simply enjoy the view of the river and the city. There are restaurants and activities that you can do in the area, so it’s a perfect place to bond with family and friends. One of the best things to do in Iloilo is visiting various century old churches, but if your time is limited, make sure to go to Jaro Cathedral. Built in 1864, the church of St. Elizabeth of Hungary or Jaro Cathedral has two stairs attached to its façade leading to the miraculous image of the patron saint enclosed in a glass. The pillars of the Jaro Cathedral are adorned with male saints. Interestingly, the church’s belfry is located across the street and was declared as a National Historical Landmark by the National Historical Institute. If you’re planning to buy some souvenirs, cultural items, and local delicacies, it’s the place you should visit. What I love about Molo Mansion, though, is its grand facade that is now a public garden plaza, so make sure to visit it to take a photo. Also, across the street is another famous church which is the Molo Church, a neo-gothic, feminist style church where an all-women ensemble of saints represented by 16 statues are perched on the aisle pillars. After our two-day trip in Iloilo, we went straight to Bacolod. 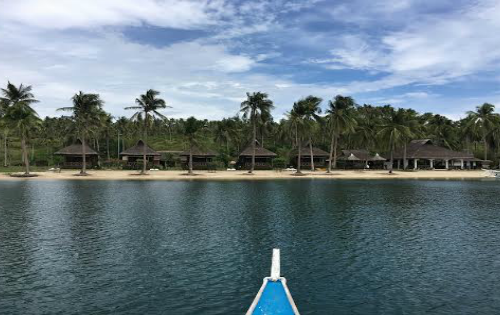 To get there, just take a fast craft ferry from Iloilo River Wharf. The first ferry departs at 6 am and the last one at 5 pm. Travel time is approximately one hour, costing P200-365 depending on which fast craft and seat class you book. 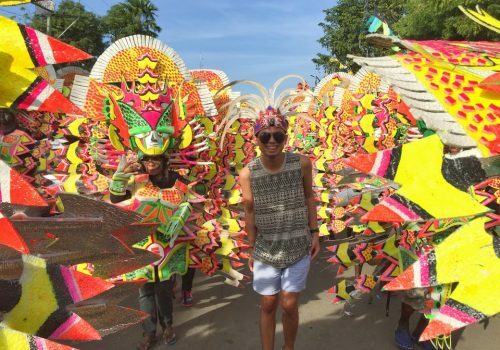 We arrived few days before the highlight of Masskara Festival (held every fourth Sunday of October), so imagine how festive the streets of Bacolod were. Every night, the long stretch of Lacson Street was closed for the street party. So you better get a room in advance to make sure you have a place to stay at during the festival. For a discounted rate, book with Traveloka. My first impression of Bacolod is classic. It may not look as modern as Iloilo, but it’s catching up. I noticed some big constructions the moment we landed at the port. 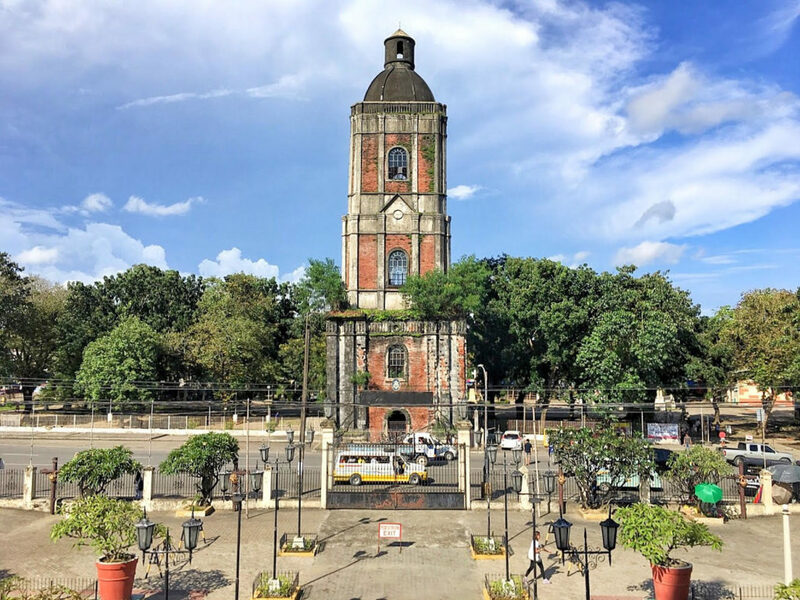 If Iloilo is proud of their heritage churches, Bacolod is the home of ancestral houses showing how rich the region has always been since the Spanish time. If you ask about the best thing to do in Bacolod, it’s eating. There are probably hundreds of restaurants in the city. And I find some of them classy. I know Bacolod is famous for chicken inasal. But there are more to expect. There are wine and resto bars, seafood restaurants, pastry and coffee shops. You would definitely enjoy your short visit in Bacolod by simply doing a food crawl around the city. 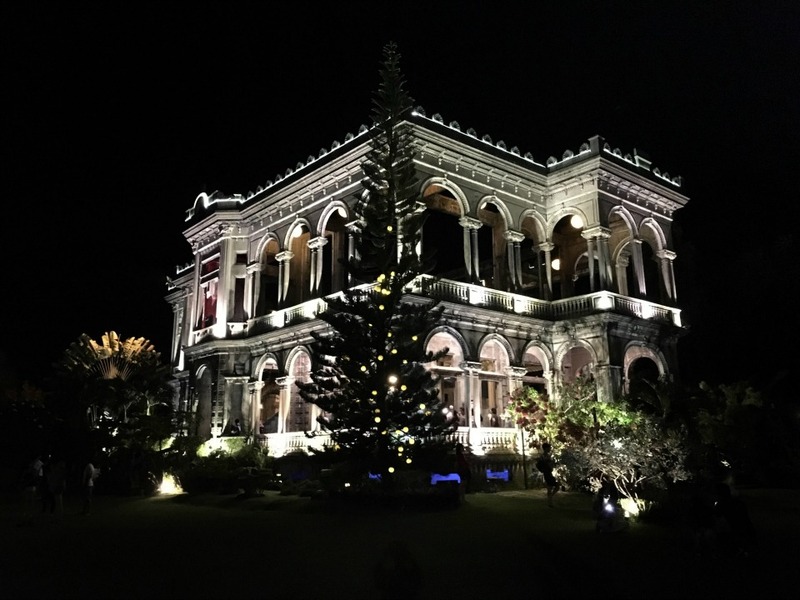 Here are some highly recommended things to do in Bacolod. Locsin Ancestral House, commonly known as El Ideal Bakery, was built way back 1920. Visiting the house will give you an unforgettable experience inside a heritage structure and a heavenly opportunity to taste special pastries. If you ask your local friends, or do a search on google for the best place to eat chicken inasal (charcoal grilled chicken) in Bacolod, I’m sure the common answer you’ll get is Aida’s Manokan. The queen of all cake shops in Bacolod, Calea, is still my top favorite. Its undisputed cakes are truly irresistible. Located along Lacson street. I could stay there all day just to eat cakes. Never ever forget to order their best sellers: chocolate cake, cheesecake, and carrot cake. If you’re looking for classy, good interior and great food in Bacolod, I highly recommend 21 bar and restaurant. Everything is so good, but it is more famous for batchoy. 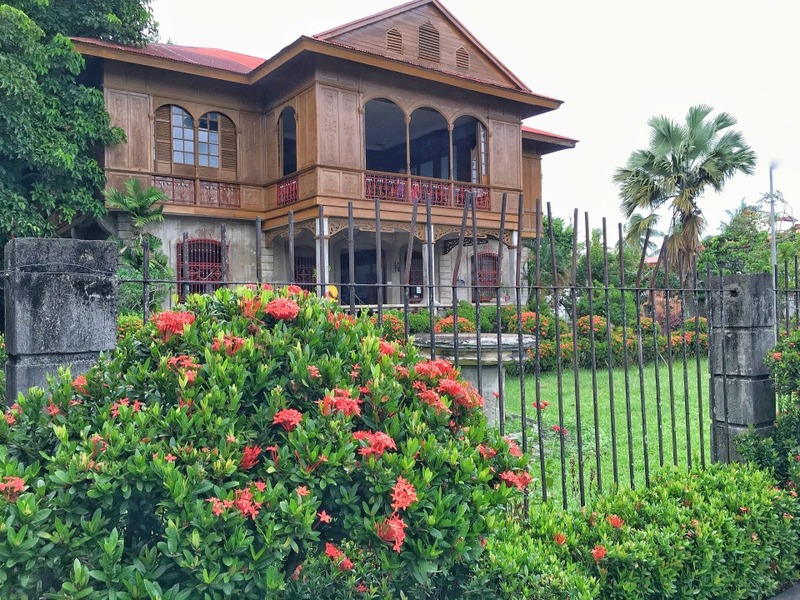 When in Silay, make sure to visit the renowned Balay Negrense hailed as the first museum in Negros. 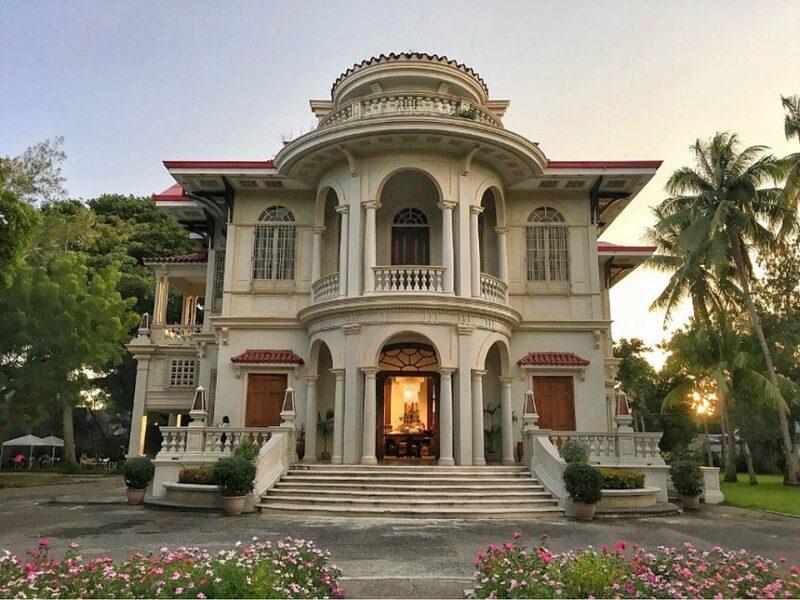 The house was built in 1897, showcasing the lifestyle of rich Filipinos during the time. Once an abandoned house, it was repaired and renovated through the help of the community and the Department of Tourism. In 1990, it opened to the public. The museum exhibits architectural artifacts, antique utensils, show history, lifestyle and culture of Silay. Entrance fee is P50. Make sure to attend the guided tour to understand better what’s inside the museum. Another recommended place to visit is Balay ni Tana Dicang and San Diego Cathedral. The Ruins is probably the most famous landmark in Negros Region. Dubbed as the Taj Mahal of Negros, The Ruins was built in loving memory of a sugar baron’s wife. The place has its own romantic charm and I find it more stunning at night, so I recommend that you visit it before sunset. 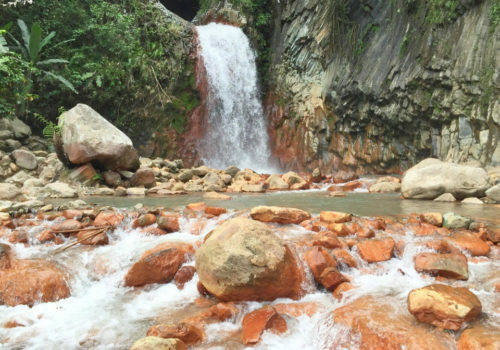 To get here, you can take a shuttle or cab from the airport or from Bacolod City. Take a jeepney (Bata-Libertad) plying north and tell the driver to drop you at the tricycle terminal near Pepsi Cola Plant. Then take a tricycle bound for The Ruins. Iloilo and Bacolod have their similarities and differences. Culturally and historically, they share the same qualities as a sugar-producing province. Food in both cities is really good. Both offer stunning ancestral architecture. Churches in Iloilo and houses in Bacolod. People are soft spoken, sweet and very hospitable. 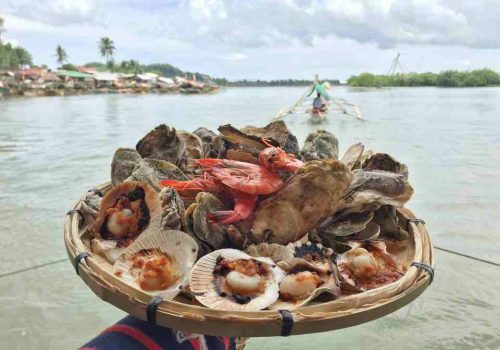 If you’re planning to visit Western Visayas, Iloilo and Bacolod are the perfect destinations to enjoy good food, rich history, and extraordinary ancestral architecture. These recommendations are best for people who have limited time in both cities. I’m definitely going back to Iloilo. We just went on a food trip while there but didn’t really see the sites. Bacolod is home for me too. I love the food there! I feel like it’s my “indulge” province! Whenever I go home, I just never stop eating. Wow it is like being in Europe! I love gothic architecture and it is a privilege to combine it with the wild natural beauty of Philippines! Thanks for the introduction to Iloilo and Bacolod – you really can see the influence from the Spanish Era in the landmarks and streets. 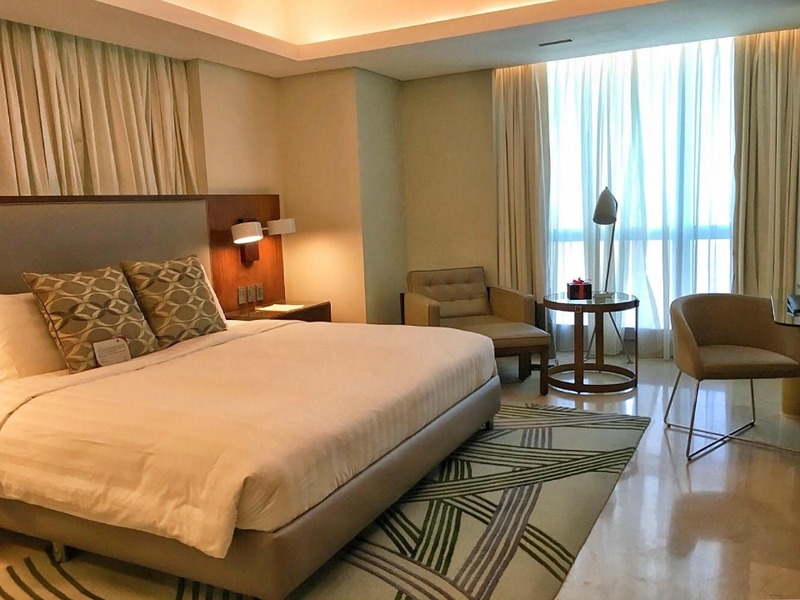 Richmonde Hotel Iloilo sounds like a great base – very luxurious. And it’s good to know that Bacolod is a hub for foodie experiences – I would love to try some guapple pie and chicken inasal! Wow! I’m so drawn to this picture of Taj Mahal of Negros, I can’t help wonder about the sugar baron who built this in memory of his wife, I agree with you – it’s certainly stunning at night. What more could you ask for but good food (sounds incredible) and a rich history. I have never heard of these places before but they look really lovely! As a foodie, I would love to try the chicken inasal – sounds mouthwatering. Also interesting to read about the architecture, beautiful picture of the Ruins, and given the story behind it, easy to see why it is called the Taj Mahal of Negros. Thanks for sharing! I’m hoping to visit the Philippines in the next year or so. these were some brilliantly detailed guides. I’ll definitely be singing them on my visit. 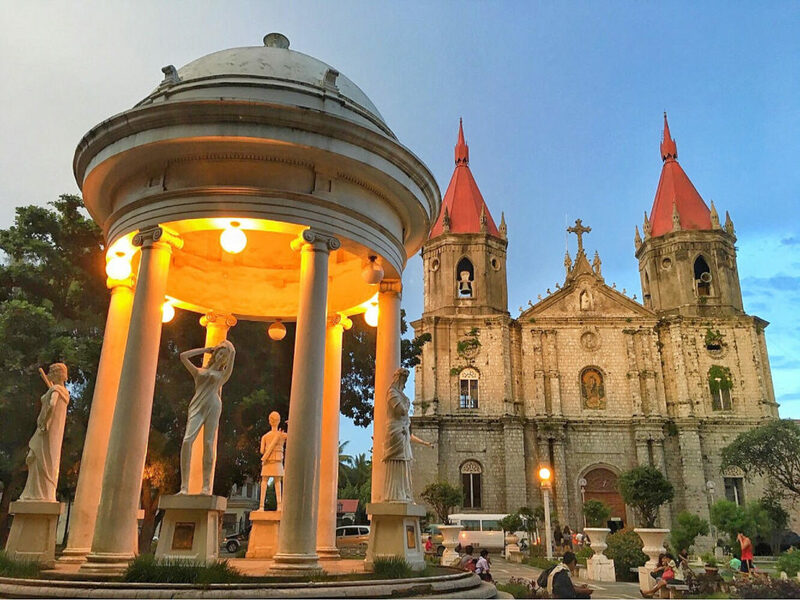 Iloilo and Bacolod are emerging destinations in the Philippines! Wow, both of these cities are in the Philippines? From the photos this could be any place in Spain or Mexico! I really thought I was seeing Spain until I read the post and saw they are located in Philippines. Crazy! 😀 Fantastic write up and hopefully i be in that part of the islands one day to check it out. These sound like beautiful cities. It’s good to learn that there is more to the Philippines than Manilla. 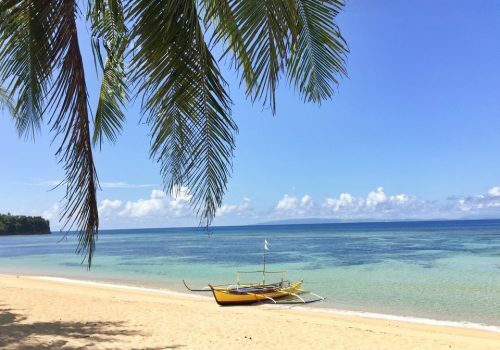 I am working on my PADI Divemaster certification (in fact I am going diving right after I hit send on this comment) and I have long heard about how fabulous the Philippines are as a diving destination. I would love to go diving there someday and maybe even visit Iloilo and Bacolod. I had honestly never heard of these cities before, yet I’m from Europe and have been to Spain numerous times. 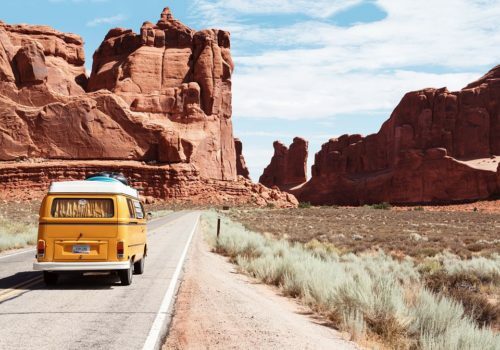 It’s always great to read about new destinations and will keep this in mind for a future visit for sure! Hmmm classic architecture. Love the Taj Mahal of Negros. Not much similarities between the two, but I do understand why they get compared. Beautiful:) Period!